...is an event open to ten 7th and 8th graders who have been nominated by their teachers. The students must solve problems creatively as a team in order to be successful. 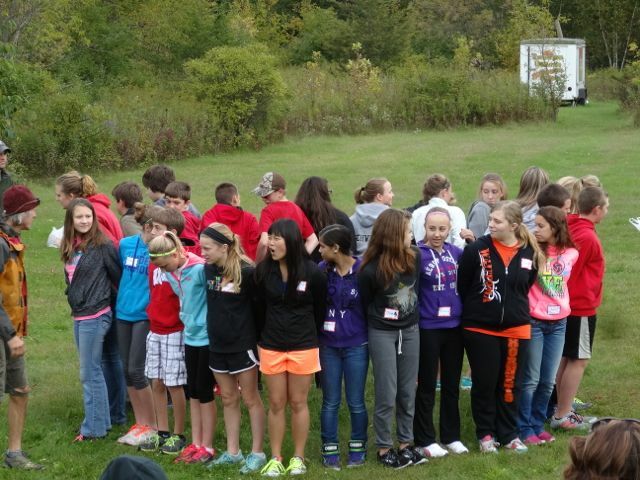 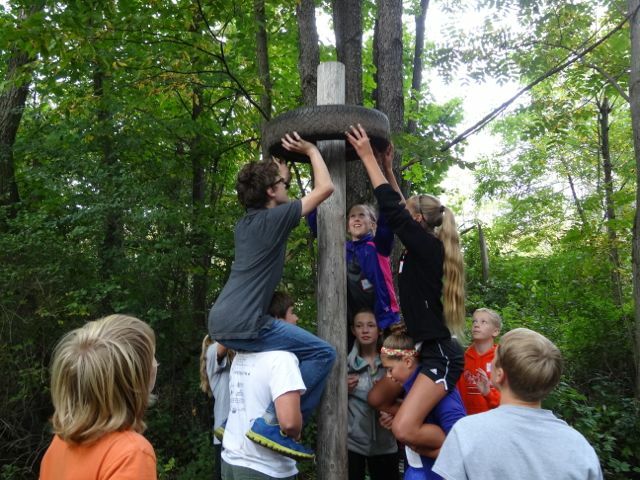 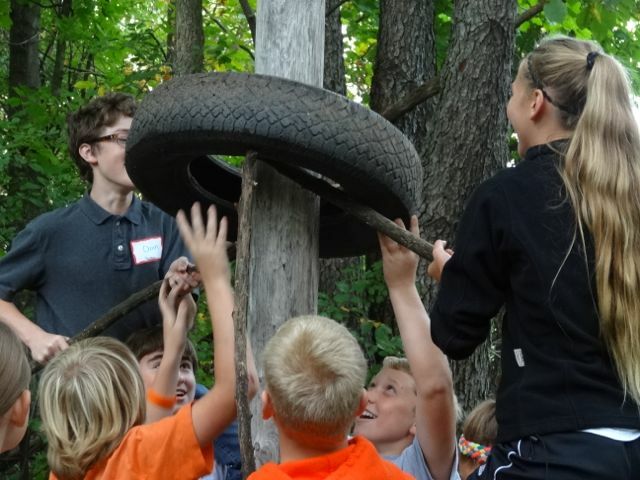 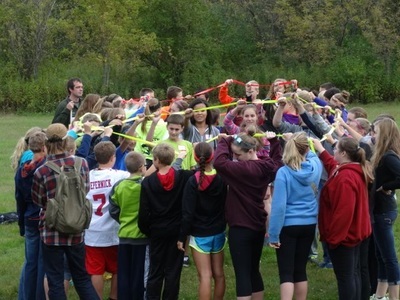 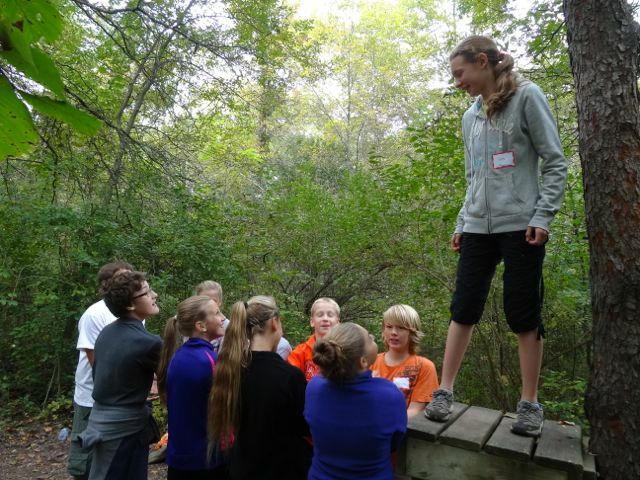 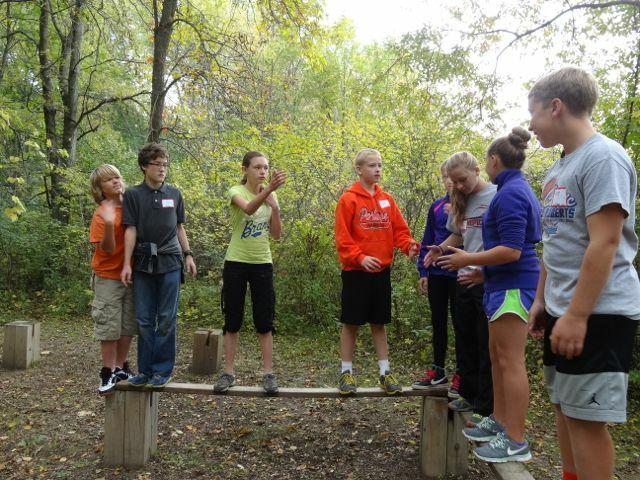 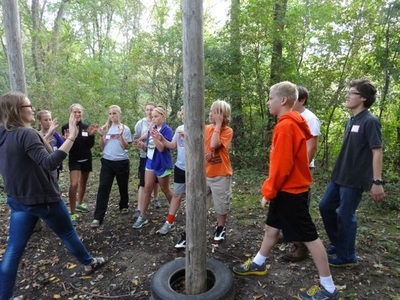 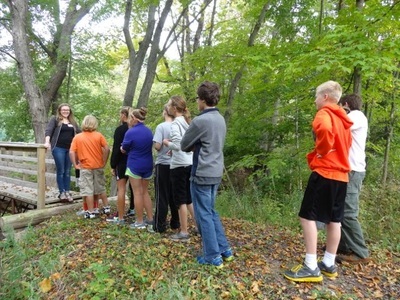 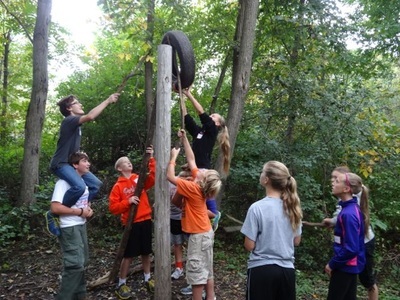 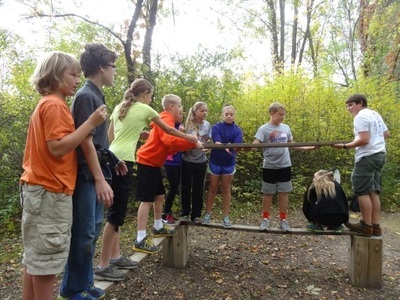 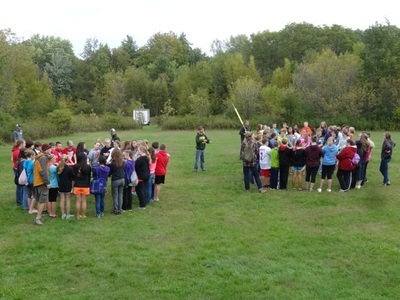 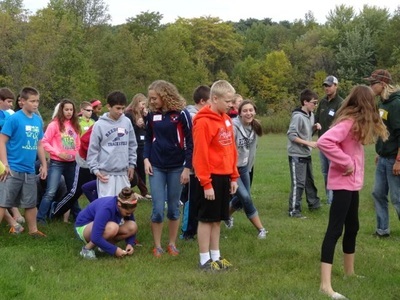 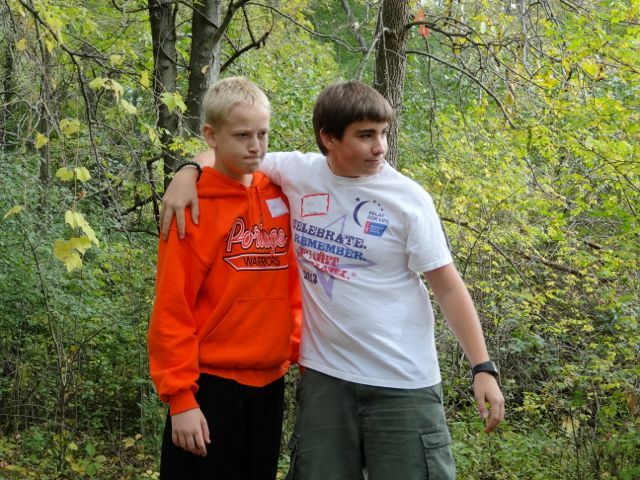 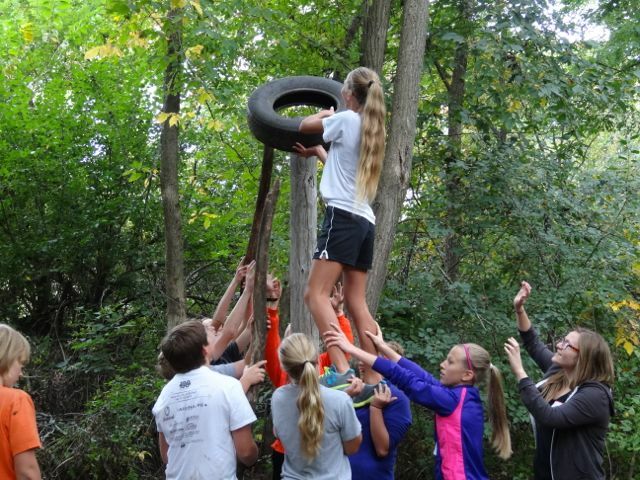 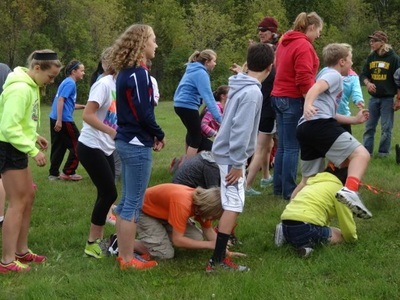 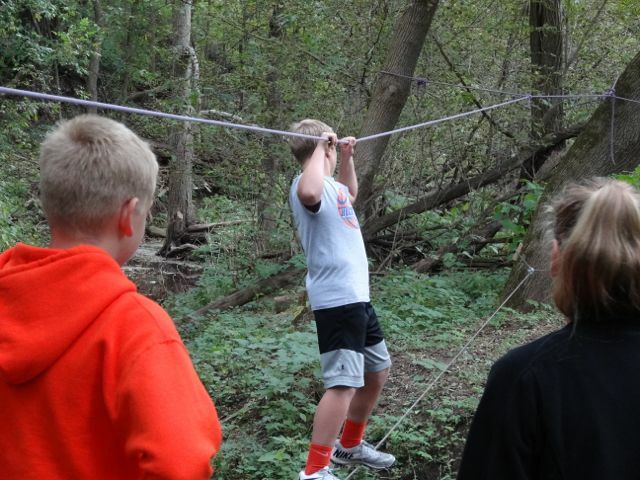 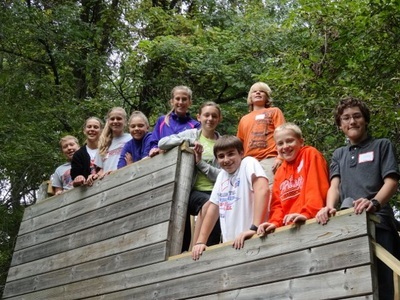 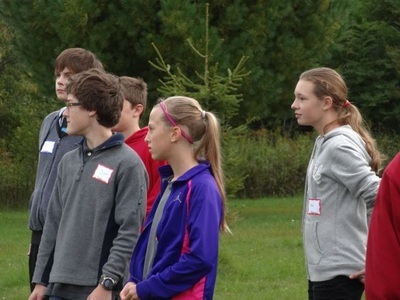 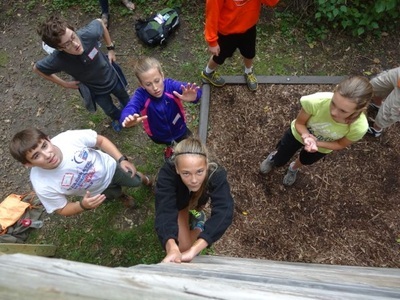 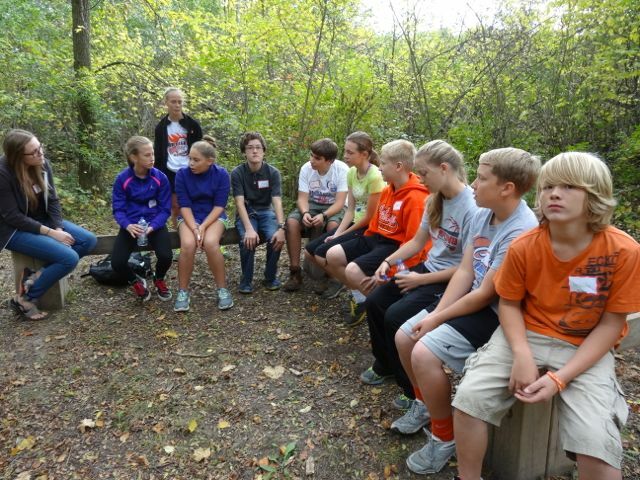 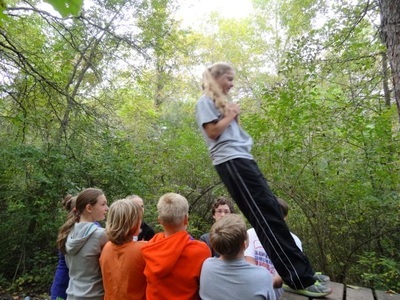 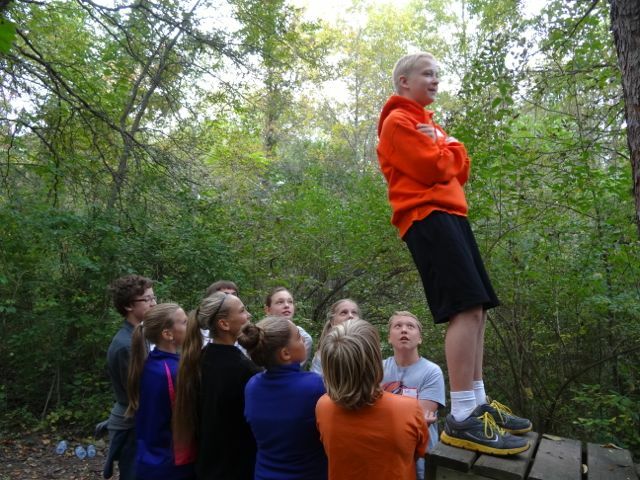 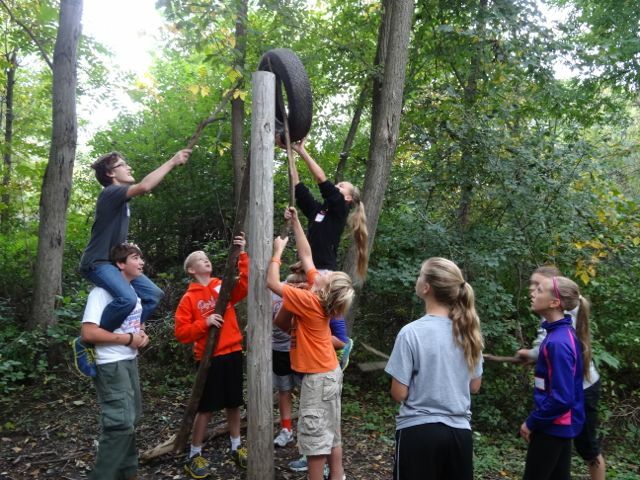 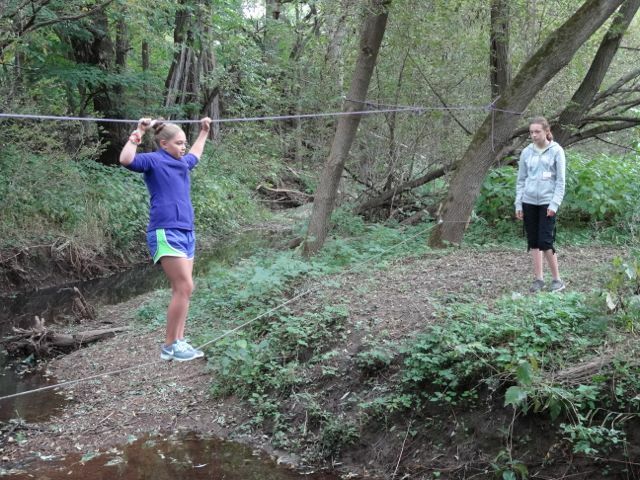 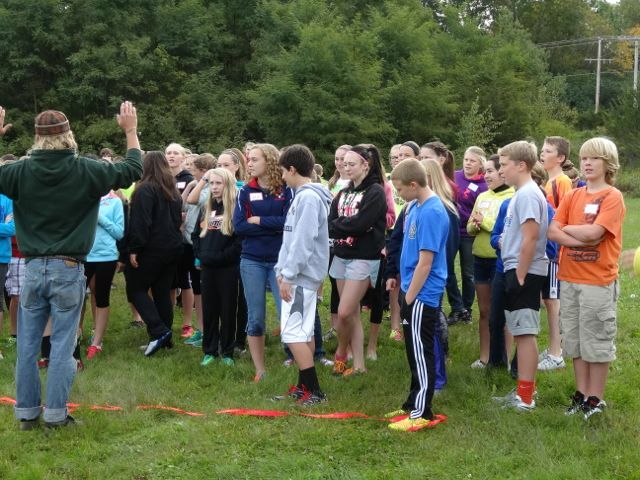 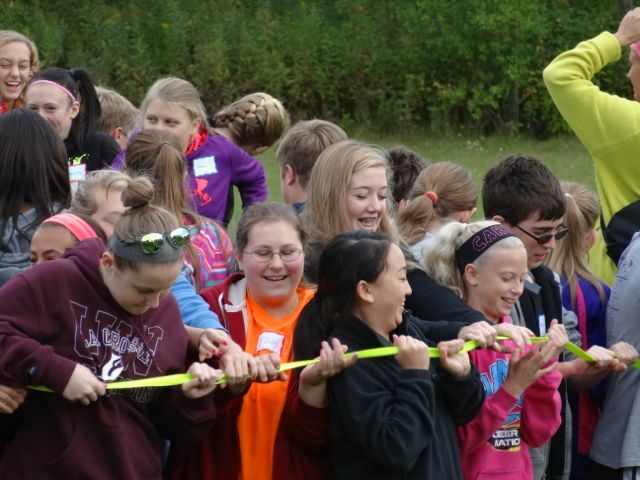 Other districts joined Portage at Expeditions Unlimited near Devil's Lake for this event. Before splitting up into our district teams, all students competed in several challenges using a net and an activity called Boulder, Tree, Bridge. Our students did an awesome job participating in the challenges!! 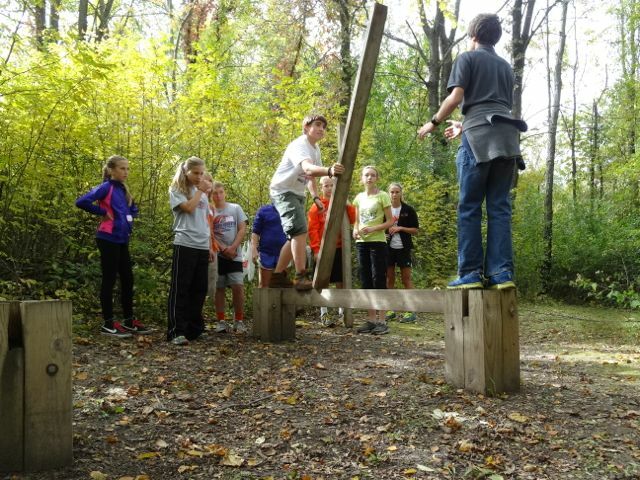 They took turns being the leader, encouraged each other, talked out possible solutions, truly worked together, and thought out of the box! Each Challenge was followed by a debriefing session where students talked about how they worked together and solved their "problem." 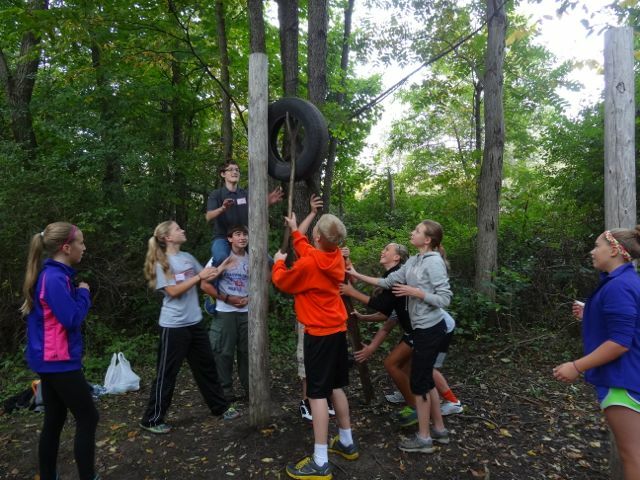 Object: to get a tire up and off of one 15' pole, then over to the next pole and down. 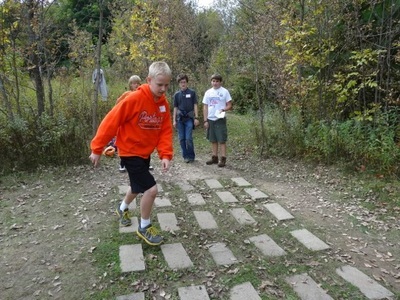 Object: to step in the correct pattern of blocks, from one end to the other, based on the guide's chosen pattern. 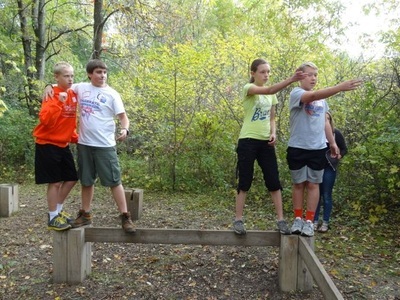 Object: using the beams, place them from post to post and cross the entire team to the other side. 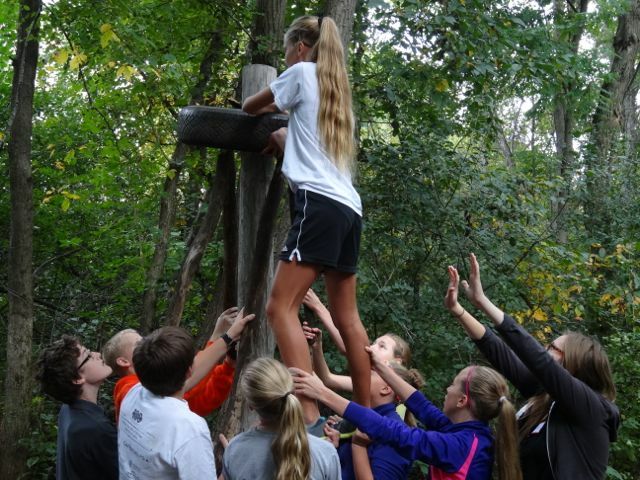 Object: to get all students up and over a 15' wall. Object: using PVC sections and a marble, get the marble from point A to point B without dropping it. 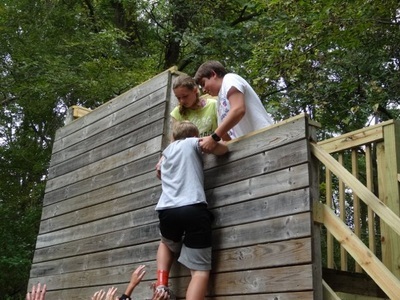 Object: fall backwards, trusting your team to catch you.